Cytotoxic drugs ("cyto" meaning cell) are those that kill certain types of cells, typically fast-replicating cells like cancer. While cytotoxic drugs are used in cancer chemotherapy to shrink and kill tumors, their role in treating rheumatic diseases such as rheumatoid arthritis and lupus is different. For this purpose, they work by slowing cell reproduction and decreasing byproducts produced by the cells that cause inflammation. Three cytotoxic drugs are commonly used for rheumatic diseases: Cytoxan (cyclophosphamide), Imuran (azathioprine), and methotrexate. The drugs are prescribed at lower doses than used for cancer treatment so that their roles are primarily anti-inflammatory. By tempering the body's response in this way, any impairment caused by the disease can be reduced. Rheumatism or rheumatic disease is an umbrella term for conditions that cause chronic pain of the joints and/or connective tissues. While the terms are often used in association with arthritis, they can be applied to any condition that causes chronic pain in the tendons, ligaments, bones, or muscles of a joint. There are well over 200 rheumatic diseases, some of which (like osteoarthritis and tendinitis) are caused by infection, injury, or everyday wear-and-tear. By contrast, the types for which cytotoxic drugs are used are associated with an underlying autoimmune disorder in which the body attacks its own cells and triggers chronic inflammation. When used at lower doses, cytotoxic drugs function as immune suppressants and can be classified as disease-modifying anti-rheumatic drugs (DMARDs). 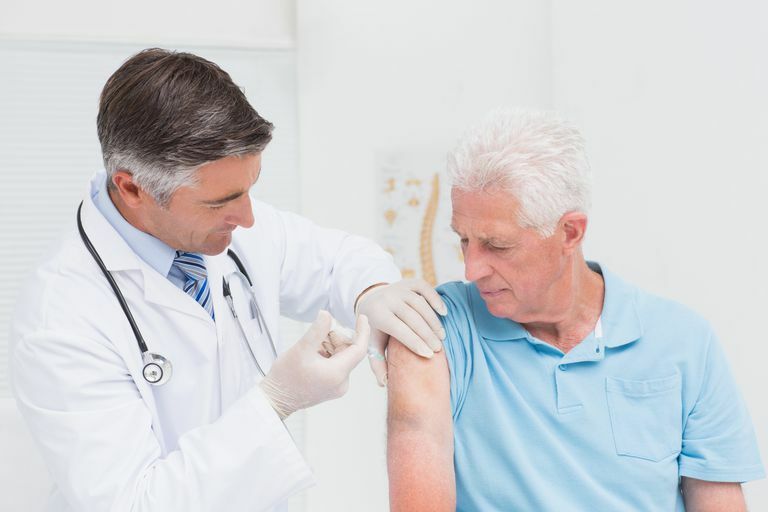 However, they should not be confused with next-generation biologic DMARDs like Enbrel (etanercept), Humira (adalimumab), and Remicade (infliximab), which target specific parts of the immune response. Traditional DMARDs like Cytoxan, Imuran, and methotrexate temper the immune system as a whole, offering both benefits and risks to the user. Of these three drugs, Cytoxan has the most potential for side effects. As such, it typically used to treat life-threatening autoimmune diseases when other DMARDs fail. This includes rheumatic diseases that seriously affect renal (kidney) or pulmonary (lung) function, including complications of lupus, polymyositis, and scleroderma. It is also sometimes used to treat severe rheumatoid arthritis. Cytoxan is often prescribed for three to six months to place the disease into remission. Afterward, a less-potent drug will be used to avoid relapse. Cytoxan can be taken as a once-daily oral dose or delivered by injection at the doctor's office every week or month. The dose varies depending on your body weight and the condition being treated. Common side effects include nausea, vomiting, and hair loss (hair typically returns once the treatment is stopped). Cytoxan can also cause bone marrow suppression, resulting in low red and/or white blood cell counts (anemia, leukopenia) and low platelets (thrombocytopenia), which can raise the risk of bleeding and infection (especially shingles). When taking the drug, your kidney function needs to be monitored regularly to check for signs of impairment or bleeding. The use of Cytoxan is associated with a small but relevant risk of lymphoma, skin cancers, and bladder cancer. Cytoxan may cause birth defects and is contraindicated during pregnancy or in couples trying to get pregnant. Imuran is approved for the treatment of rheumatoid arthritis, lupus, polymyositis, and vasculitis. It is prescribed in oral doses of between 50 and 100 milligrams daily. You would typically be started at a lower dose based on your weight and increased every one to two months until you reach your target dose. It can take up to 12 weeks for the drug's effects to be fully felt. Side effects include stomach upset, nausea, and other gastrointestinal symptoms. These may be relieved by dividing the daily dose into two separate doses, with one taken in the morning and the other taken at night. Bone marrow suppression, with the aforementioned associated risks, is also common. Less commonly, the long-term use of Imuran can lead to liver or pancreas damage. These can be avoided by regularly monitoring your liver enzymes. Imuran may slightly increase the risk of certain cancers. Methotrexate has long been the backbone of rheumatic disease therapy. It is commonly used to treat rheumatoid arthritis, lupus, vasculitis, juvenile idiopathic arthritis, and other forms of inflammatory arthritis. Of the three drugs, methotrexate is the most tolerable and offers the fewest side effects. It is available either in pill form or as an injection. It is usually taken as a single dose once weekly but may be split into multiple doses to reduce side effects or increase absorption. Your doctor will often prescribe a folic acid supplement to decrease the risk of side effects. Improvement is generally felt within six weeks but may take up to 12 weeks. Between 1 percent and 3 percent of users will experience mouth sores, stomach upset, hair loss, rash, nausea, or diarrhea. Methotrexate can cause liver impairment and, as such, requires frequent monitoring of your liver enzymes and the avoidance of alcohol in all forms. As with the other cytotoxic drugs, methotrexate can cause bone marrow suppression and increase the risk of infection, including pneumonia. Methotrexate is also contraindicated in pregnancy due to the increased risk of birth defects. Methotrexate treatment should be discontinued for at least three months before trying to become pregnant. During this time, use condoms and other contraceptive methods to avoid pregnancy. Cytoxan, Imuran, and methotrexate all have their places in the treatment of rheumatic diseases. Because they work by dampening the immune system as a whole—meaning that you have fewer defenses to fight disease—you need to contact your doctor immediately if you ever experience fever, cough, chills, shortness of breath, rash, bleeding, or other signs of infection. Even simple infections can turn serious if left untreated. If the drugs are used as prescribed, the symptoms of rheumatoid arthritis and other rheumatic diseases may be greatly reduced, allowing you to maintain a healthier, more active lifestyle. Schiotis, R.; Buzoianu, A.; Muresanu, D. et al. New pharmacological strategies in rheumatic diseases. J Med Life. 2016;9(3):227-34. Hoi-Yan, A. and Mok, C. Therapeutic Drug Monitoring in Rheumatic Diseases. HK Bulletin Rheum Dis. 2016;16(2):33-37. DOI: 10.1515/hkbrd-2016-0009. Is Marijuana Effective for Treating Rheumatic Diseases? Methotrexate Dosage for Rheumatoid Arthritis - Why Weekly?